WASHINGTON, Jan. 25, 2013 /3BL Media/ -- The Verizon Foundation has joined the National Council on Aging (NCOA) to support its work to improve the health and independence of millions of older adults with multiple chronic conditions, such as diabetes, heart disease and stroke. Chronic diseases account for the fastest growing portion of the nation's health care costs, with nearly nine of 10 older adults having at least one chronic condition, and two-thirds having two or more. Research has proven that empowering these individuals to better manage their own health can lead to lower health care costs and better quality of life. To further these goals, Verizon has joined the NCOA's Self-Management Alliance -- a "collective impact" initiative that brings together businesses, nonprofits and government agencies to work toward the common goal of making self-management an integral part of health care in the United States by 2020. "Verizon brings proven expertise in developing technology solutions to the challenges of empowering patients and families to better manage their health and health care," said Richard Birkel , senior vice president of healthy aging at NCOA. "NCOA looks forward to working with Verizon to develop innovative approaches and technology platforms to better integrate the array of health care and community services that patients with multiple chronic conditions often need." The Verizon Foundation recently announced its new program strategy to reduce health care disparities, improve quality and access to care, and empower patients in need with better chronic disease management programs. Through collaborative partnerships with national health care nonprofits, the program is focused on integrating health information technology solutions from Verizon Enterprise Solutions in this effort. In total, the Verizon Foundation will invest nearly $13 million in grants and in-kind technology to fund nonprofit health care organizations with new health information technologies. The organizations focus on children, women and senior citizens. 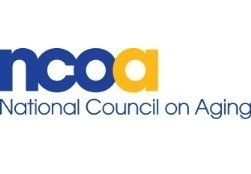 "We are eager to work with NCOA's Self-Management Alliance to implement or develop the right solutions that will help individuals – particularly seniors – to better manage their own health, easily and remotely," said Rose Stuckey Kirk , president of the Verizon Foundation. "For the first time at Verizon we are integrating our technology solutions and philanthropy to accelerate change in health care and improve patient outcomes. We are deploying our technology together with behavior modification programs to empower people to take control of their health." The Verizon Foundation is focused on accelerating social change by using the company's innovative technology to help solve pressing problems in education, health care and energy management. Since 2000, the Verizon Foundation has invested more than half a billion dollars to improve the communities where Verizon employees work and live. Verizon's employees are generous with their donations and their time, having logged more than 6.2 million hours of service to make a positive difference in their communities. For more information about Verizon's philanthropic work, visit www.verizonfoundation.org; or for regular updates, visit the Foundation on Facebook (www.facebook.com/verizonfoundation) and Twitter (www.twitter.com/verizongiving).